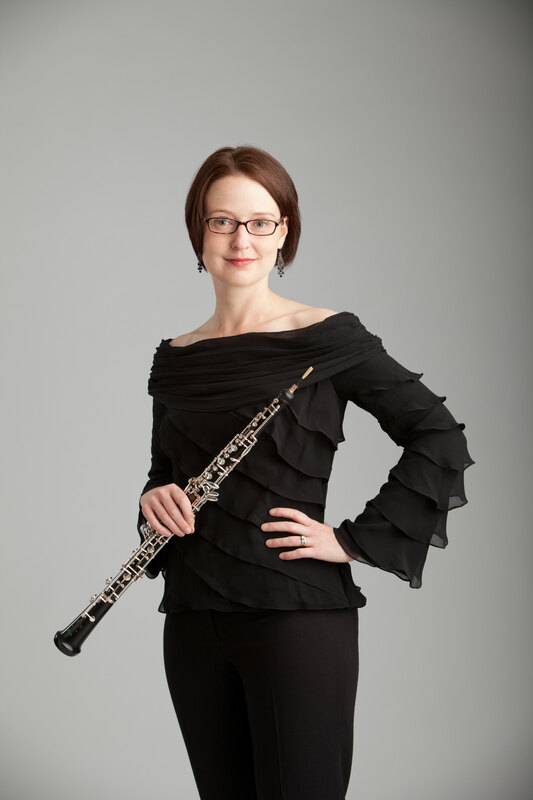 Originally from Naperville, Illinois, oboist Nora Anderson Lewis joined the Lawrence University-Conservatory of Music faculty as Associate Professor of Oboe in 2018. She is a graduate of Lawrence's acclaimed double-degree program in oboe performance and philosophy and received a Master of Music degree from the Yale University School of Music and a Doctor of Music degree from Northwestern University’s Bienen School of Music. Her principal oboe teachers include Michael Henoch, Richard Killmer, Ronald Roseman, Howard Niblock, and Grover Schiltz (English horn). Nora enjoys a varied performance career and has played with the Chicago Symphony Orchestra, on the Chicago Symphony Orchestra's MusicNOW series, with Alarm Will Sound, Boston Lyric Opera, Boston Classical Orchestra, Wichita Symphony Orchestra, New Hampshire Symphony, Camerata Chicago, and International Contemporary Ensemble (ICE). She was a founding member of Chicago-based Ensemble Dal Niente and held orchestral positions with the Elmhurst Symphony Orchestra and the Plymouth Philharmonic. She has performed in recital at St. Paul’s Church in Covent Garden, London, on the Cranbrook Music Guild artist series, Hale Library concert series, and in live recital broadcasts on Blue Lake Public Radio, WMUK Kalamazoo’s “In Concert,” and “Live from Studio B” at WFMT in Chicago. Nora has presented clinics, performances, and papers at national and international conferences including the Midwest Clinic, International Double Reed Society, Society of Composers Inc., College Music Society, CBDNA (southwest region), ClarinetFest, and National Flute Association in locations such as Finland, Japan, South Korea, Sweden, the United Kingdom, and throughout the United States. Honors include a Big-12 Faculty Fellowship, honorary membership in Sigma Alpha Iota as a National Arts Associate, Pi Kappa Lambda, and a Yale AlumniVentures Grant. For ten summers Lewis taught at Blue Lake Fine Arts Camp in Michigan. She has served on the CMS National Advisory Board for performance, as editor for the Midwest Double Reed Society, and is consulting editor for The Instrumentalist magazine. With clarinetist Phillip O. Paglialonga and bassoonist Eric Van der Veer Varner, Nora is a founding member of the PEN Trio, a chamber ensemble passionate about performance, education, and scholarship. Since 2011 the ensemble has commissioned, premiered, and promoted numerous new works and given concerts, master classes, and entrepreneurial workshops throughout the United States as well as in Canada, China, Costa Rica, Cuba, Guatemala, Hong Kong, India, Panama, Trinidad and Tobago, and the United Kingdom. The PEN Trio recently recorded their debut album, Found Objects in New York City with Boston-based Soundmirror. The album features music written expressly for the ensemble and is slated for release on Summit Records in 2019. Prior to her appointment at Lawrence, she was Associate Professor of Oboe at Western Michigan University, where she also coordinated the Bullock Performance Institute, and at Kansas State University, where she also served as Associate Director for the School of Music, Theatre and Dance. Nora lives in Appleton, Wisconsin with her husband, double bassist Gordon Lewis, and their standard poodle Chloe.